Wil Turner is a graduate student who lives in Clinton, Tennessee. He completed his undergraduate studies at the University of Tennessee, Knoxville in 2016 with a B.A. in Communication Studies. 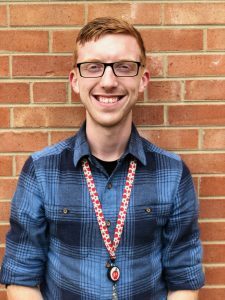 At the time of his first book’s publication, he was less than a year away from earning his Masters in Elementary Education and state teaching licensure. Wil is passionate about education and deeply enjoys reading with children. He works extensively with at-risk youth, including many speakers of other languages. He strives to provide engaging text experiences that are interesting for all learners and that contribute to the morality, intellect, and compassion of the next generation. Do NOT Draw in this Book: A Story About Change is his first self-published children’s book. I spend every day of my life with children, and reading with them provides some of the most inspiring moments I have experienced in my life. I write because I love sharing stories with little humans. I am an on-the-fly type of guy in most facets of life. I am mainly a doodler, in regards to illustration habits. In writing, I write like I talk. Stream of consciousness gets recorded down, then edited, and edited again, until something comes out that looks like children's book text. Tell the story that's inside you. If you have a different story every day or even every hour or minute, well…take a journal along with you and write down the story of the moment! I self-publish mainly because my goal is to share stories, not to sell copies. I am satisfied that my story is now sharable to kids anywhere, and that is all I ever wanted! I love digital books, and I cannot wait to dive into creating children's books on that platform. However, I will always maintain that printed books, especially for children, will never cease to be critical to their journey and their growth.